Disclosure: This post contains an affiliate link(s). An affiliate link means I may earn a commission if you make a purchase through my link without any extra cost to you. It helps to keep this website afloat. Thank you for your support. Maybe you searched for Jungle scout review or best product research tool or best product research tool for Amazon or somebody recommended this review to find the best product research tool in different communities. Why am I writing a Jungle Scout Review? I first bought a premium membership of Jungle Scout web app and Chrome extension for its review. Then I conducted an in-depth analysis of Jungle Scout’s features, which might help dropshippers for product validation before spending a single penny. This Jungle Scout review is just from dropshippers perspective. How is Jungle Scout Review different from 7,960,000 Google Search Results? Jungle scout is a product research tool that helps the online sellers to find out the best products to sell on Amazon. It finds out the best products by analyzing predictive data that might be hidden in an extensive database. However, in this post, I have reviewed Jungle Scout from the perspective of dropshipper. Product database is one of the coolest features of Jungle Scout. With this feature, you can select any broad niche out of 30 broad niches. Let’s suppose you have a dropshipping store for clothing – specifically for leggings. And you wanted to know exactly which item is the best selling item on Amazon. You can do multiple things with jungle scout product database feature. Select the closest category associated with leggings. For instance, you put a check on “Clothing, Shoes & Jewelry”. Then, insert your keyword “legging” in ‘include keyword field’. After clicking on the search button, it will show all the items related to “legging”. Do I need to go through all these “107,467” results? Here you can take the help of Product Database Filters. You just need to set filters to see only those products that have a minimum of 500 customer reviews and a minimum 1000 sales. This will help you to get quality products as well as validate a product idea. And believe me, if it is selling on Amazon, then you should definitely put that item on your dropshipping store. The next thing you need to do is open the recommended results. For instance, you clicked on a very first result because this product had sold 16,916 times. When you will click on the first product, it will lead you to Amazon’s specific product page. Here, click on 5287 customer reviews to see what customers are talking about. Now you can see that Amazon has already categorized customer reviews for its buyers based on keywords. It will show all those reviews contain “high waisted” term. But my personal recommendation is to validate your product with some more techniques. Insert exact same customer review keyword (high waisted) in the search box. You just need to add “legging” with “high waisted” to further validate your product. Then click on any recommended results. For instance, if you clicked on “high waisted leggings for women”, it will lead you to another page where you can see thousands of results. But you’d better validate more because you will be spending your hard earned money. In ahrefs, go to “Keywords Explorer” and type your keyword by selecting a country in which you want to sell. Now you can see an analysis; this keyword (high waisted legging) has 5500 monthly searches in the USA. For global selling, you can see the top 5 countries in which customers usually search for this keyword. Yes, you can end your research here as well! My recommendation is to take your winning product validation to the next level so that you can have a clear idea about product demand. To take your product validation to the final stage, you can go to https://trends.google.com. Here you will insert the same keyword to see its demand over the last 5 years. Scroll down a bit and you will get to know exact countries where this product demand is high. Click on “City” to get the exact location where the demand is higher. Now you are all set to work on this product without having a fear if you have picked the right one or not. By the way, if you do not know how to target your audience on Facebook, check this Facebook Audience Insights Guide for 2019. Once you have finalized your product, you can add your preferred Amazon product in product tracker. It will give you a demand graph of your preferred product in a graphical form. You can track sales of any product within the range from 7 days – 60 days. How to add a Product in Jungle Scout Product tracker? You can add a product in product tracker using these 2 methods. You just need to click on “Add icon”. After clicking on an add icon, you need to select the Amazon market place. Now you need to insert your group name. For instance, if you are working on your leggings dropshipping store, you should type leggings. It will recommend the products that are relevant to leggings. Select products and click on “Create & add products“. After this, you will have products avg results in front of you. As I have discussed above that you can set a data range from 7 days – 60 days. Let suppose you have selected 14 days of data range. You will have to click on the scroll down button. It will show you product performance over the last 14 days on Amazon. You can use this feature for your dropshipping business after purchasing Jungle scout. 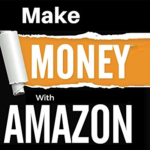 Another method you can use to track top product performance on Amazon. You just need to insert product ASIN or that product Amazon URL. After clicking on “Add a Product”, it will show you nothing instantly. However, you can have this specific product data within 48 hours. In my opinion, Jungle Scout niche hunter feature is its most powerful attribute. Most dropshippers face this problem of picking up the right niche for their dropshipping business. With Jungle Scout niche hunter feature, you can set your own filters in just 5 seconds. For instance, you want to get an idea of legging category under clothing niche. With Jungle Scout, you can set filters using the following steps. Select any broad niche among 30 broad niches. Secondly, you can set number of Avg. units sold from 0 – 1000+. Third, you can set a competition filter from 0-10. So you always need to choose a number between 0-5. Fourth thing which you can do while setting filters is to set Avg. Price item. As per Jungle Scout: The average sales price for the top 10 listings. Fifth is an “Opportunity Score” filter. The best approach is to set the opportunity score from 5-10. Next thing which you need to perform is to leave “include or exclude keywords” filed empty. You can see 95,149 results recommended by Jungle Scout if you keep that “include & exclude keywords” field empty. You can sort columns as per your preferences. For instance, if you want to check which item is selling near to $30, you can just click on Average price and it will show you all those items that will have or near to $30 product price. Do you think are you done with niche identification? Jungle Scout gives you an in-depth analysis of recommended results. For instance, you clicked on star city black pants. Sort recommended results in descending order to see results. Open the very first result. Click on any keyword to analyze customer reviews associated with that particular keyword. Insert the same keyword in the search field. You will see a product listing page and on that page, you will need to click on “Orders” to see top selling products against this specific query. Jungle Scout’s Niche data is another awesome feature. Please keep this thing very clear that Greg Mercer – Founder of Jungle Scout made this tool from Amazon’s perspective. But you will be using this in a different way. Niche Keyword Cloud will give you top keywords which sellers have used for such listings. Jungle Scout has just launched its brand new feature ‘Supplier Database’ – a source that gives valuable information about the services and products of supplier so can select the best-in-the-business to manufacture your product. The primary purpose of this tool is to find supplier and verify its credibility. Jungle Scout collects supplier information by keeping the check on all shipments in U.S, so you can look how many shipments a particular supplier has done. With supplier database, you will have clear idea about authenticity and capability of a supplier. Here is the example on how you can search for supplier on Jungle Scout Supplier Data base. Login to your Jungle Scout account go to the left sidebar click Find Supplier > Supplier Database. First, search by the ‘product’. So, I write the keyword ‘legging’ in the search tab and click search. Once click it, you will have the detail of top suppliers, how many shipment they have made, the customers they have served and the list of top customers. You can scroll down to see further supplier of this keyword. You might identify the customers of a supplier, as I scroll down I found supplier who is supplying to ‘Target Stores’. By identifying famous name in customer list, increase my confidence on this particular supplier. By clicking ‘view more’, you can see the records of over five years of their shipment. The shipment history of past 62 months is right in front of you. Now, go back to supplier database and do a ‘company’ search. In company search, you can search supplier of a particular company. I go to Amazon.com and search keyword ‘legging’ to see the bestseller company on Amazon. Scrolled down and clicked to the bestseller of legging. Finally, I found out the brand name of the bestseller of legging on Amazon. Now go back to Supplier Database and write Near time Yoga Pants in the company search. You can see total imports and its top suppliers. This will help you search all the top supplier that your competitor uses. Now, coming to the third search option, that is ‘supplier search’. Here you can type the name of the supplier that you may have found on some ecommerce marketplace (e.g. Amazon, Aliexpress etc.) or B2B marketplace (e.g. Alibaba). For Example, I go to Alibaba.com and find out a supplier for legging. Just copy their name and paste it in the ‘supplier search’. Complete import history of this supplier in U.S will come in front of you. As you can see, this company has only completed one shipment and only has one customer so far. By clicking on view more, you can see its shipment records. It records define that this supplier is juvenile in this business. So, you’d better search for some other supplier. Did you see, how simple it has become to search out for any supplier. You can evaluate any supplier based on your preference and experience that you want. Jungle Scout WebApp offers three pricing plans. But if you aim to buy for a yearly plan, Jungle Scout will offer you a 40% discount. Many dropshippers might get a bit confused in distinguishng between Jungle Scout web app and Chrome extension. Both are super useful and work great in product research. They are different in approach and addressing different needs. It will take your consent before installation. You just need to click on Add Extension. And now Jungle Scout extension icon will be visible on the chrome menu bar. Click on the icon and insert your login details. The extension comes in handy to capture the data of the overall market to dig out a winner product for your store. To use this Jungle Scout chrome extension effectively, you need to go to the Amazon.com. Search any of your keywords, for instance, “Legging”. Click on any recommended results. For instance, if you click on leggings with pockets. You can see that there are 60,000 Amazon results associated with this particular query. Do you really think that you will analyze 60,000 results? Now see the magic with Jungle Scout chrome extension. You need to click on Jungle Scout chrome extension icon in menu bar and you will see all products performance in front of you. I sorted it by the number of monthly sales. Not only this, but you can also set filters by clicking on the menu button on the top left. Set filters as per your own preferences as you set on jungle scout web app. Jungle Scout has won brand searches race with huge margins in comparison to its competitors. Jungle Scout beats its closest competition – Helium 10 and AMZScout – with great margin in term of people’s demand. Q: 1) Is Jungle Scout onetime fee? I heard they charged monthly but on their website, it says one-time cost. Answer: Jungle Scout charges a onetime annual fee for both Chrome extension and Web App. In Chrome Extension, you only have the option to pay annually. In the Web App plan, it gives the options to pay either monthly or annually. Q: 2) Are product finding software necessary –Like Jungle Scout – to sell online? Answer: No, there is no obligation or necessity to take the assistance of product finding software. If you have any particular niche in your mind, you can do the research manually with Google trends and Amazon bestseller page. I recommend using product-finding software for more relevant and fast information about the product. However, it is not necessary to use them in starting a dropshipping store. Q: 3) Is there any better alternative than Jungle Scout to use for product finding? Answer: Right now, Jungle Scout is the leader and the most sought after product finding tool. Viral launch and AMZscout are also very good product finding tools. However, it is hard to rank any of them higher than Jungle Scout. Q: 4) How to cancel jungle scout? Answer: Yes, you can cancel your subscription. Go to the Settings tab at the bottom left of the menu and select Subscriptions. A set three questions will come-up for reasoning of account cancellation. You will have to answer all three-question come to the end of page and select “Cancel Account”. You will have the access of your account until the end of the current billing period. It will automatically deactivate at the end of period. Q: 5) How accurate is jungle scout? Answer: There is not any particular precise answer, however, according the Jungle Scout’s Sales Estimation Accuracy Case Study, it the closest to zero errors than compare to its competitors. Q: 6) What is LQS in jungle scout? Answer: LQS means ‘Listing Quality Score’. It is the in-house algorithm of Jungle Scout, measures the quality of product listings. The LQS takes into account the length and keyword richness of a listing’s title, its bullet points and description, as well as the number of pictures on the listing and the resolution of the photos. Please remember! Your feedback matters a lot to me. Therefore, provide your valuable feedback about the experience in the comments section below. Feel free to connect with me directly on Linkedin or join my Facebook Closed Group of 3699+ E-commerce Entrepreneurs.